Invite grocery store shoppers to become members with a welcoming branch atmosphere. 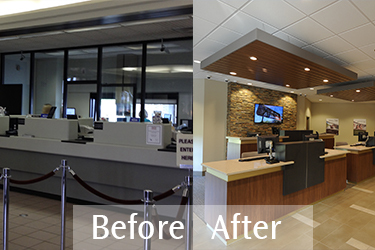 Central Willamette Community Credit Union wanted to make a big impact with their expansion in the Albany, Oregon market. They chose a new grocery store location that promised high foot traffic and would make them visible to most of the residents in the community. The location came with a challenge that many financial institutions struggle with. 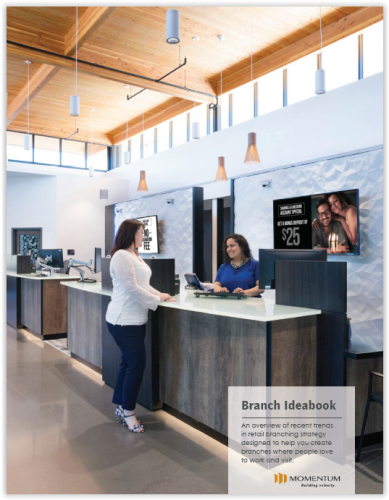 The credit union wanted the branch to create a warm and homey atmosphere, where shoppers feel welcome to stop in and chat. But grocery stores often have a clean, cold, and sterile atmosphere, and many grocery store branches end up reflecting this. Working with the Central Willamette team, Momentum developed a style intended to make the branch feel like more than just a bank in a grocery store. The space features natural wood materials, most notably a rustic sliding door, and local historical imagery that carves out a mental image, making visitors think of home or a cozy cabin. The branch’s glass walls physically separate the space from the grocery story, but also help potential members catch a glimpse of the personalized service that Central Willamette wants to be known for in the community. This resonates with shoppers, and they regularly stop in to check out their new neighbor. 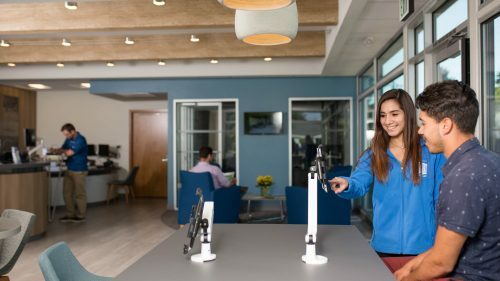 The credit union wanted the interactions between staff and members to feel natural and friendly, and to create a true ease of doing business. Momentum delivered on this goal with a kitchen island style interaction zone. 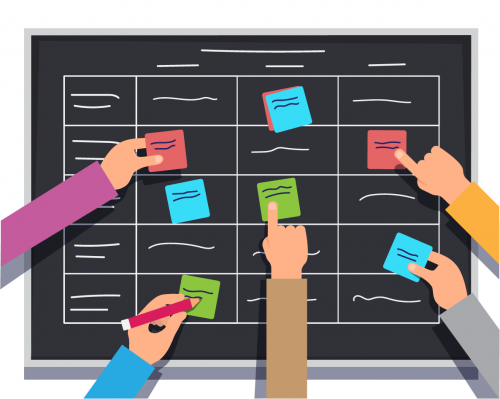 Unlike traditional workstations on teller lines, the surface of the counter is completely clear. This frees staff to move around to speak with members and support transactions from tablet computers, creating a more comfortable and natural environment for both members and staff. The experience feels much more like talking to a friend or shopping in a high-end store than visiting a bank branch. This is Central Willamette Credit Union’s first new branch following a rebrand, and the they had a vision of this branch being more that “just” a grocery store branch. The credit union wanted their entrance into the Albany market to establish their new identity and make an impact on the community with a flagship branch. In spite of the limitations that a grocery store location presents, Momentum worked with the credit union to develop a fresh branch environment that embodies the new brand in its functionality and atmosphere. This branch will act as a prototype and guide the design of Central Willamette’s future branch network expansions. Our Branch Lease is Expiring. What Do We Need to Do?